It’s time for the kids to go back to school and this Printable Buddies Paper Doll School Desk will set the right tone to have them happily looking forward to the event. Trivia: The Sidney School Furniture Company, located in Sidney, Ohio, began manufacturing the popular “Fashion” school desk in 1881. 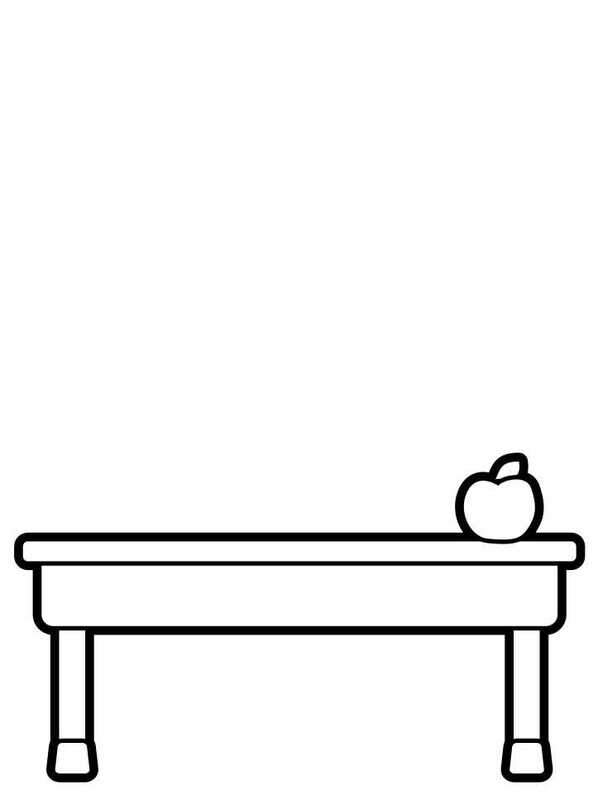 Print out as many of either the colored or black and white desks as you need for your Buddies school. If you are using the black and white version, be sure to have the children color it before they cut it out. it makes it so much easier. Then select your favorite Buddies paper dolls in color or black and white and their favorite school outfits and let the fun begin. Kids will have fun explaining to their paper doll playmates the lessons they will be learning together. Kids will enjoy the whole experience with their Bathtime and Pajama accessories too.